Billie Duncan-Smith is the founder of CTWHH. In 1995, it was discovered that her husband, Stephen, had an undiagnosed white matter disease. Billie relentlessly searched the Internet where her efforts finally culminated in her husband's diagnosis with CADASIL in 1997. She has been involved as an advocate for CADASIL since that time and has made contacts throughout the world bringing people and information together. Billie set up a website for CADASIL in 1997, which is known worldwide and along with the logo “Together We Have Hope.” Prior to her husband’s illness, Billie taught Youth Sunday School classes and was treasurer for a local area food bank where she organized area food drives. She received an Associate's Degree in Accounting and Office Skills from Hartford Mid-Cheshire College in Northwich, England as well as an Associate's Degree in Computer Information Management in 2005 from Ashworth University in Norcross, Georgia. For seventeen years she has been employed full-time with the Round Rock Independent School District, holding varied secretarial, accounting, and student records positions. Billie taught a beginning computer course for adults in 2001. Outside of her job, she volunteers and is dedicated to CADASIL. She is a caregiver to her husband who has CADASIL. Her interests are computers, crafts and photography. Billie and Stephen have two daughters, a granddaughter, and a grandson. Billie can be personally contacted via e-mail at CADASIL@sbcglobal.net. Tara Chilinski lives in Fort McMurray, Alberta, Canada. In 2009, her husband Mike suffered a stroke and after 10 months of intense investigation and testing, was given a diagnosis of CADASIL. Tara has been a strong supporter and advocate for the CADASIL cause ever since, working to raise awareness for CADASIL in hopes of finding a treatment and eventually a cure. 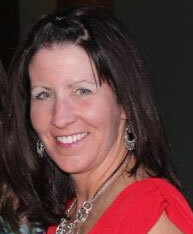 Tara has been employed at Syncrude Canada Ltd for the past 20 years working in various positions, most currently leading the development and implementation of the Management of Change process for the entire site. Tara and Mike have two young children, a son and a daughter, and are very focused on raising them to live healthy, happy lives despite CADASIL. In her spare time, Tara is very active in her children's sports and activities and volunteers often to ensure they run smoothly and that all involved children reach their greatest potential. Tara can be reached at tchilinski@shaw.ca. Rose Stuckey Kirk, a 26-year veteran of the telecommunications arena, currently serves as president of the Verizon Foundation with accountability for leading the $76M operation’s philanthropy strategy in alignment with the company’s strategic vision and goals. The Verizon Foundation’s focus is on accelerating social change by combining the company’s advanced technology with philanthropic resources to solve pressing problems in education, healthcare, domestic violence prevention and energy management. Rose’s commitment to advancing the social innovation work of the Verizon Foundation is demonstrated by her numerous senior leadership positions across a range of profit and loss operations within the telecommunications industry, including positions in public policy, operations, sales and customer service, marketing and product development, as well as her background as an award-winning journalist. A highly sought after speaker, Rose has spoken across the nation and around the world on a host of topics ranging from international philanthropy, women’s and girl’s issues, women in the workplace, the role of technology in education, and the role of corporations in creating a sustainable future. Rose is the recipient of numerous awards, having been recognized as one of 21 Leaders for the 21st Century by Women’s eNews; as one of the most influential women in Corporate America by both Savoy Magazine and The Network Journal; as a Woman of Power by the National Urban League; as one of the Top Working Women in America by Working Mothers Magazine; and she was awarded the Exemplary Corporate Leadership Award by the domestic violence prevention organization, A Call to Men. A former news reporter, she is the recipient of writing awards from the Associated Press and The New York Times. She is a member of the board of directors of Dress for Success Worldwide; the media council of The Paley Center; a member of the national service organization, Jack and Jill of America; a board member of the Communications Department Advisory Board of Arkansas State University; and has served as board chair for the board of directors of the National Domestic Violence Hotline. Kirk holds a B.S. degree in Journalism from Arkansas State University and is completing a Master’s Degree in International Affairs from Washington University, in St. Louis, Missouri. She and her husband, Robert, are the parents of two sons.